"We are committed to making the 2-D media of metal into a 3-D picture of life." 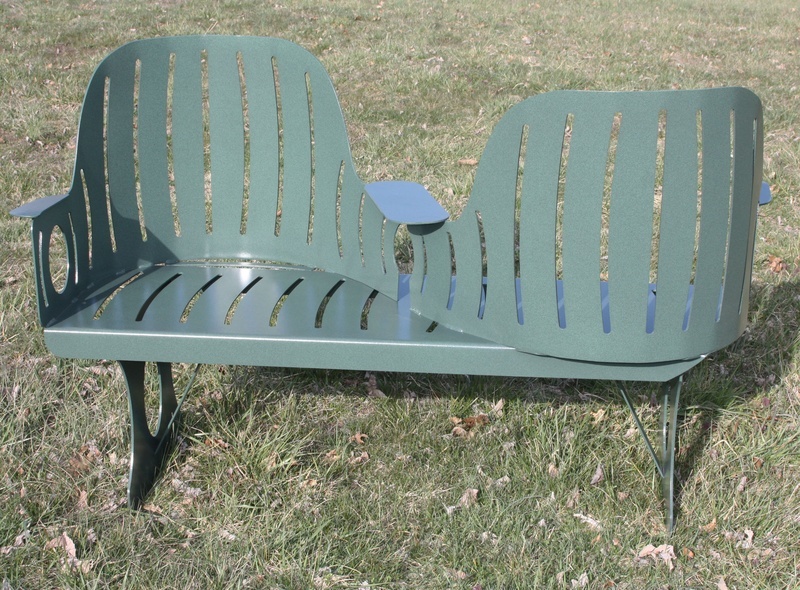 A courting bench, also known as a kissing bench, conversation bench, or a tête-à-tête (French for "head-to-head") is a bench with two parallel seats, facing in opposite directions, with a shared arm of the bench separating them. They were popular in Victorian times, and thought convenient for kissing and intimate but demure conversation, as the names imply.